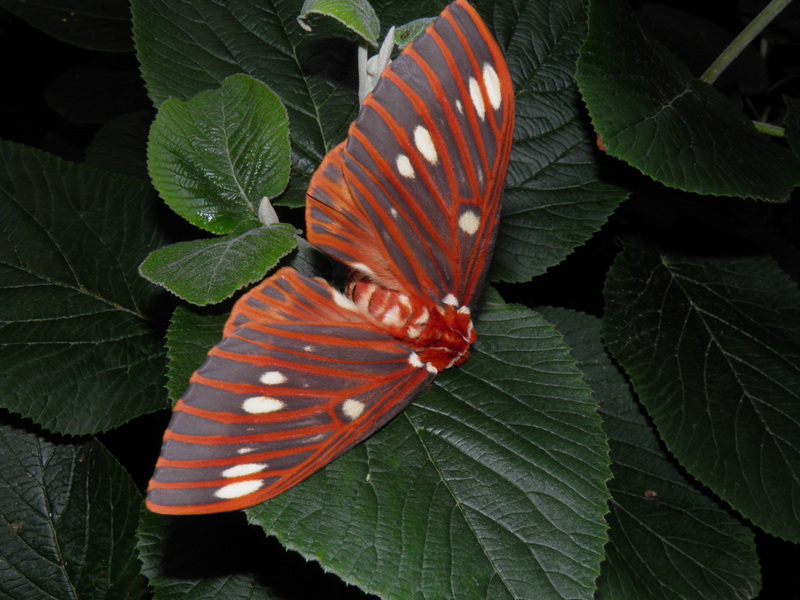 Citheronia azteca | Welcome, visitor! 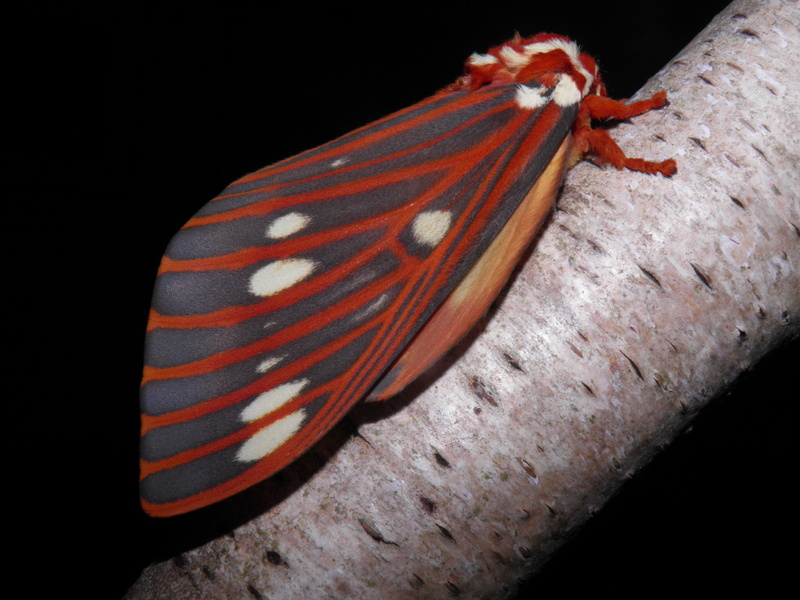 Citheronia azteca is a species of silkmoth found in Central America. The adults have been recorded in Mexico, Belize and Guatemala, where they fly once a year around the month June. Adults quickly pair, lay eggs and die in these few weeks, and eggs hatch in 7 to 14 days depending on the temperature. 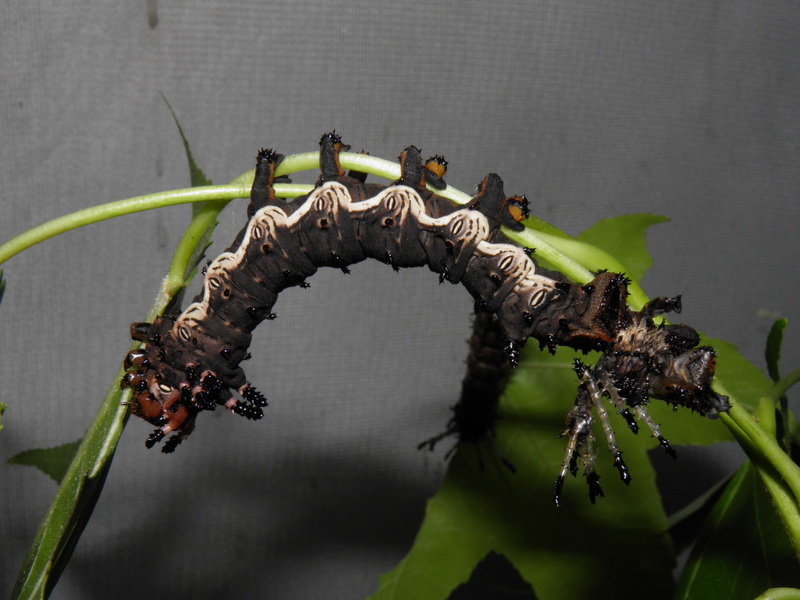 The caterpillars of Citheronia azteca are among the largest caterpillars to be found on the entire American continent. In the wild they are polyphagous and the caterpillars feed on Peppertree (Schinus sp. ), Sweetgum (Liquidambar styraciflua), Sumac (Rhus sp. ),Walnut (Juglans), cherry (Prunus) and potentially more. Here they feed for about one to two moths time, relatively short for such big caterpillars, and descend into the earth in order to pupate in a subterranean chamber. The pupae spend almost a year underground, where they are able to resist the dry and cold seasons of Central America and can overwinter. Adults hatch the consecutive year. Adults can be distinguished from similar looking species; unlike C. regalis, the hindwings of the adults have a dark grey base colour with orange veins, much like the forewings, whereas in C. regalis the hindwings are rather uniformly orange. The wing veins seem to be darker, brighter and reddish than the more dull and orange C. regalis. The overall colour seems to be somewhere in the middle of C. regalis and more heavily constrasted C. splendens, but adults lack the heavy white scaleing and pattering of C. splendens. Prefered climate: Tropical; warm and humid. Adults and larvae are active during the hot and humid time of the year. 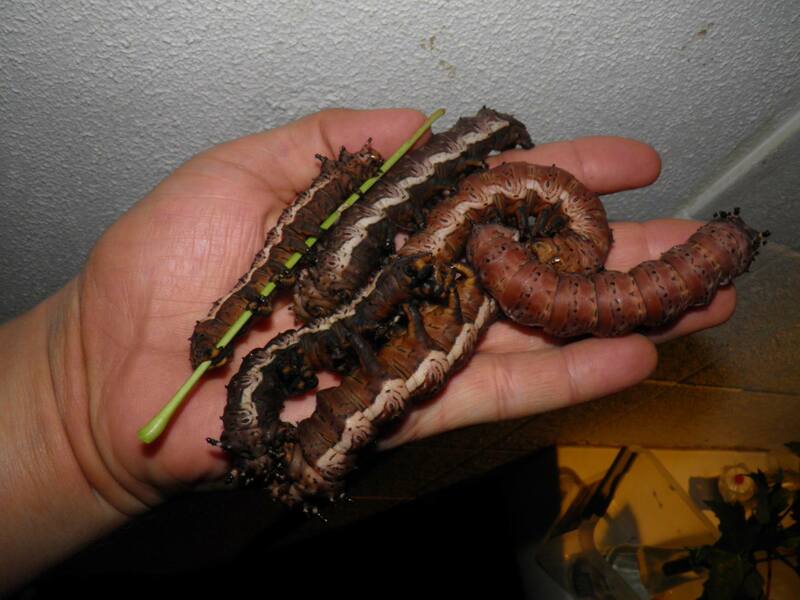 However, pupae are able to resist the dry and cold seasons of Central America and can overwinter. Special notes: Overwinter pupae frost free, but cold (0-15C). Rear in low and density and do not overcrowd to produce great sized larvae and adults. The caterpillars of Citheronia azteca are very large, chocolate brown and go through several instars with varying appendages and horns. 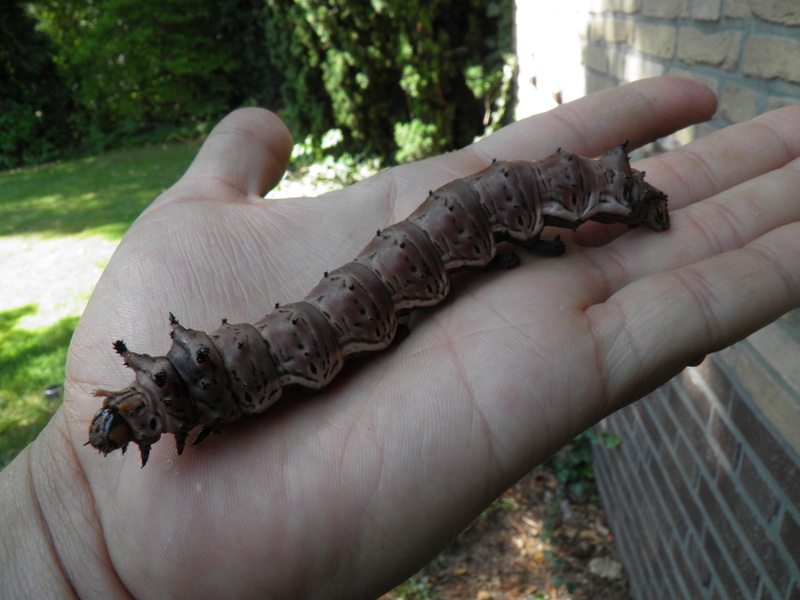 Their size rivals or even outsizes the North American hickory horned devil (Citheronia regalis), although it may be difficult to produce such large larvae in captivity, as the size of captive animals is often inhibited. In captivity they can be raised without too much effort. 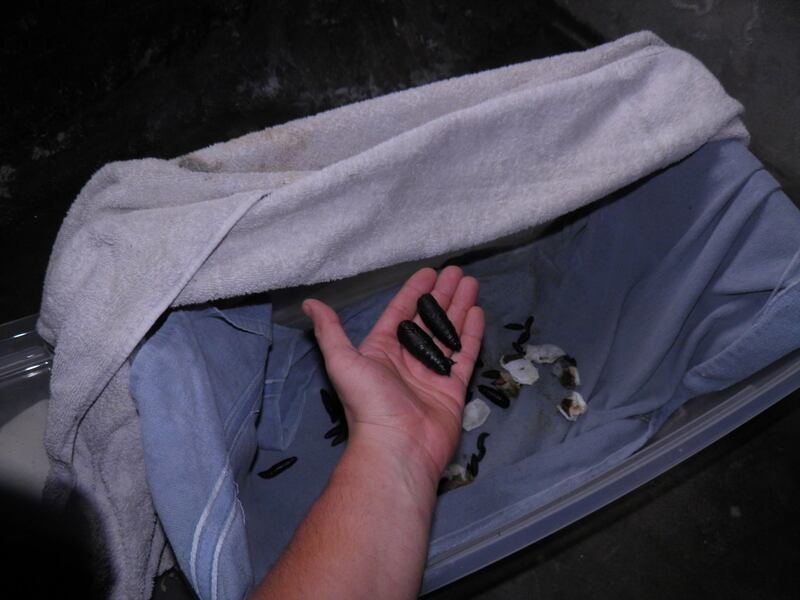 They can be raised from eggs to fully grown larvae relatively fast, especially if you consider their size. Depending on food plant quality and availability, temperatures and humidity, they can go from egg to fully grown larva in about 1 to 1.5 month time, up to 2 months. Young hatchlings are black, with an orange patch in the middle on the segments located below the thorax and thoracic horns. 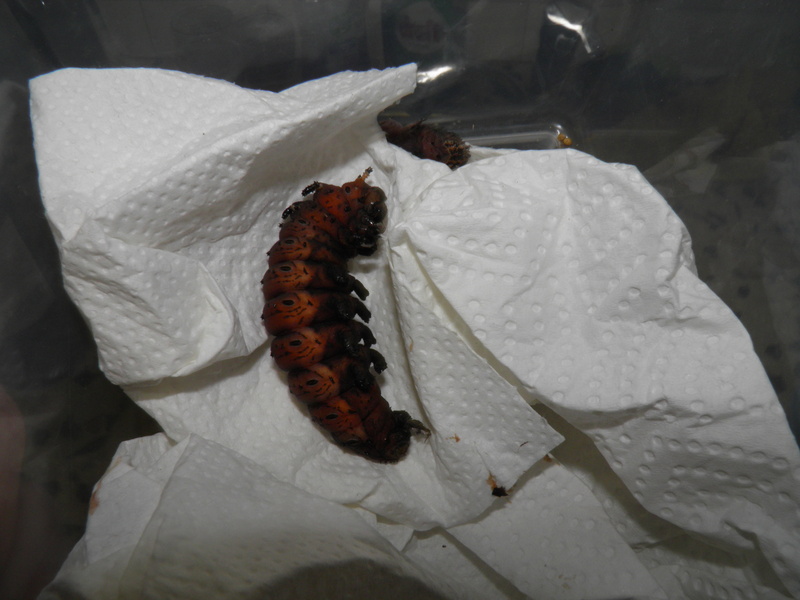 They can be kept in plastic boxes up until the third instar. Later instars however, really need ventilation and fresh air to prevent infections and diseases. 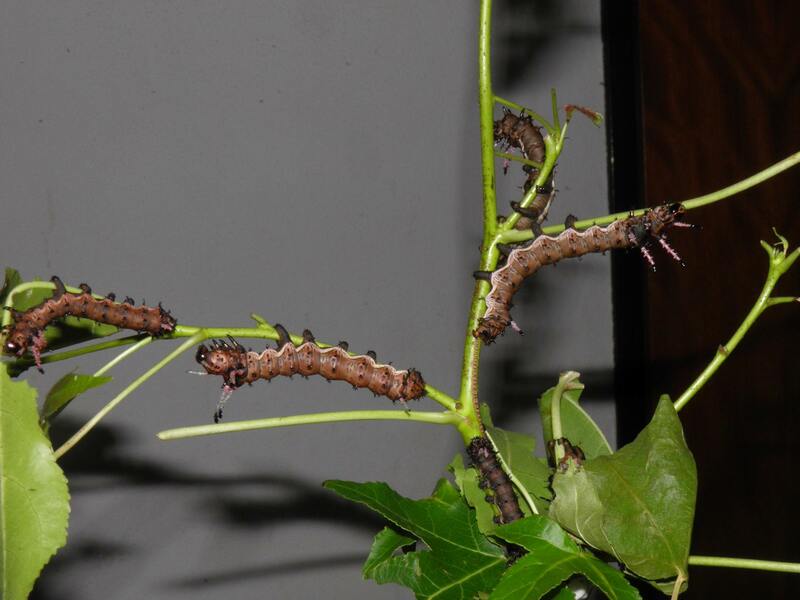 The first two instars last relatively short, and the caterpillars will shed to the third instar in no time. 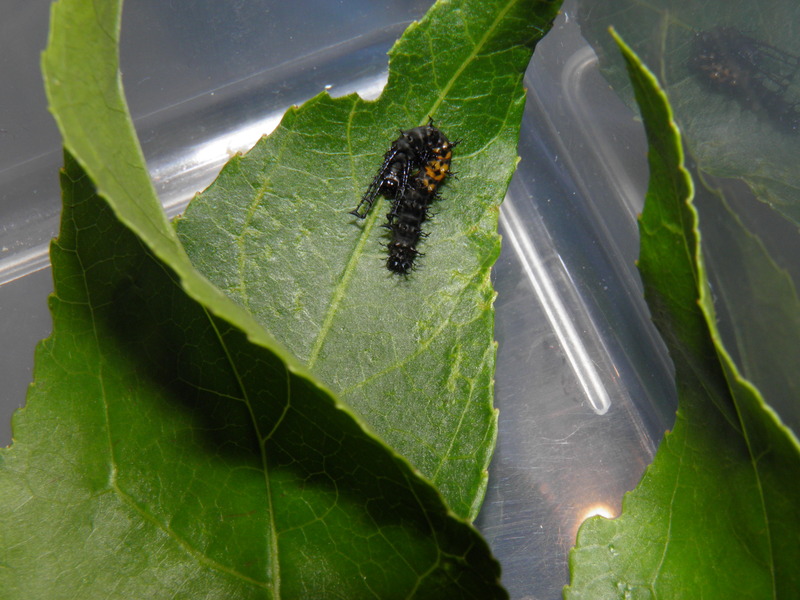 Second instar caterpillars look like a larger version of the first instar with more highly developed and pronounced horns on their bodies. 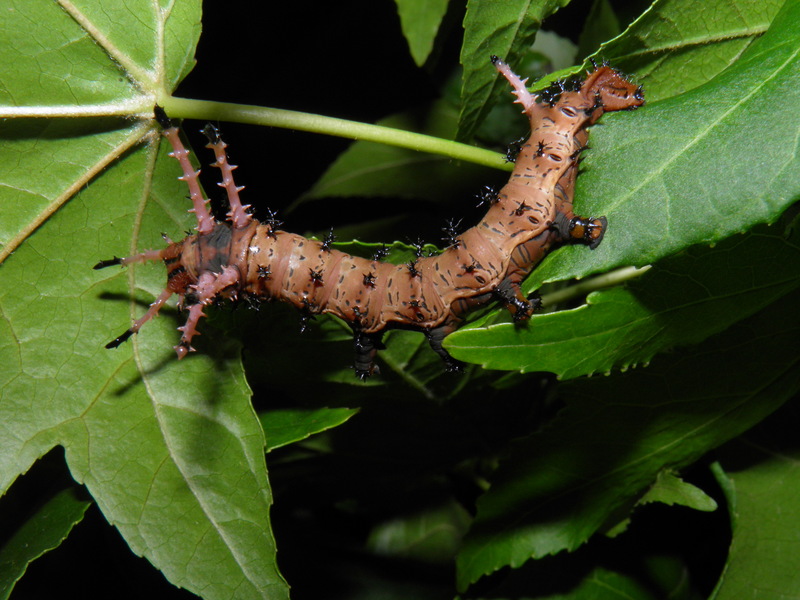 In the third instar, the caterpillars have conspicuous pink horns on their thoraric segments and rear ends and a chocolate brown body with subtle black stripes. 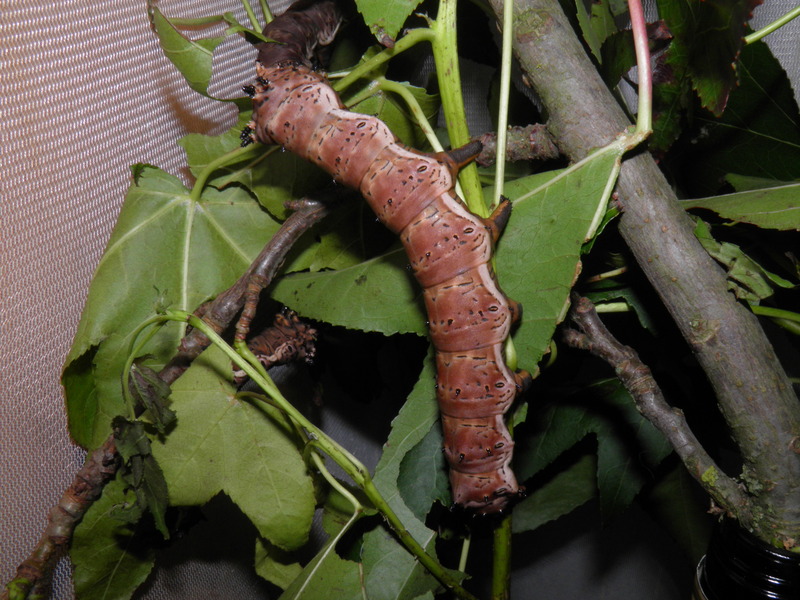 In the fourth instar, caterpillars become quite large, with smaller and reduced horns on thier bodies. Their base colour is dark to chocolate brown, with lighter markers on their sides. 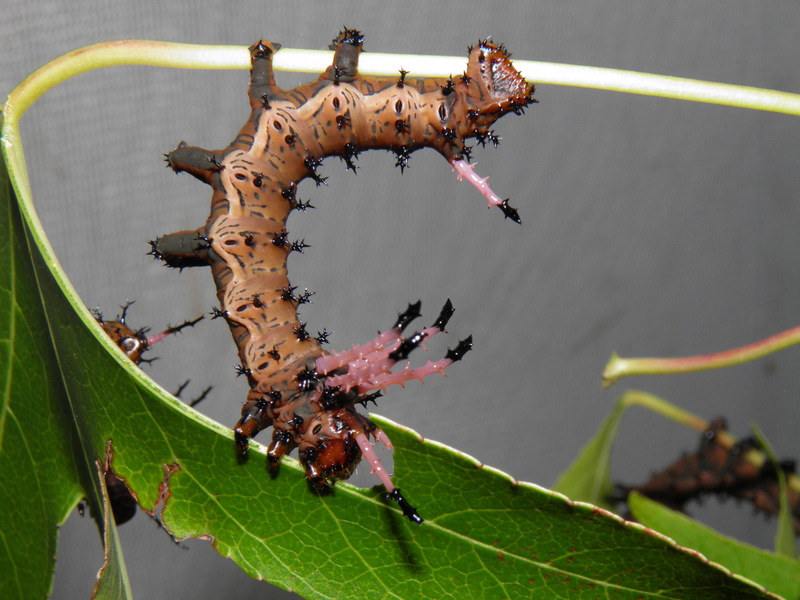 Fifth instar caterpillars become huge, with an even bigger appetite. In this stage it is best to provide them some space due to their great size; it is easy to overcrowd caterpillars that grow up to 15cm. Despite that, this species seems to cope well with being reared in a high density – however, due to the great appetite of the larvae and the possible stress of them bumping into eachother, this may lead to smaller adults. The size is one of the remarkable traits of these caterpillars, and thus for the most enjoyable experience it is best to keep them a little bit more seperated. They should be kept in cages with bottled food plant branches, boxes with the lid removed, or sleeved outside if the conditions are favourable. Pupation happens underground. In the wild, larvae burrow in the earth and form a pupa here in a subterranean chamber. In captivity you can substitute the soil for something else like vermiculite, bird sand, or if you’re lazy like me, paper tissue towels. Here they lie for a while as prepupal larvae, before shedding their old skin and pupating. Citheronia azteca pupae need to be overwintered in order to complete their development with optimal result. They are best stored frost free between 5C-15C and should be given mild, but cold winters. Central American dry seasons and/or winters can be on the cold side with snowfall or mild frost. 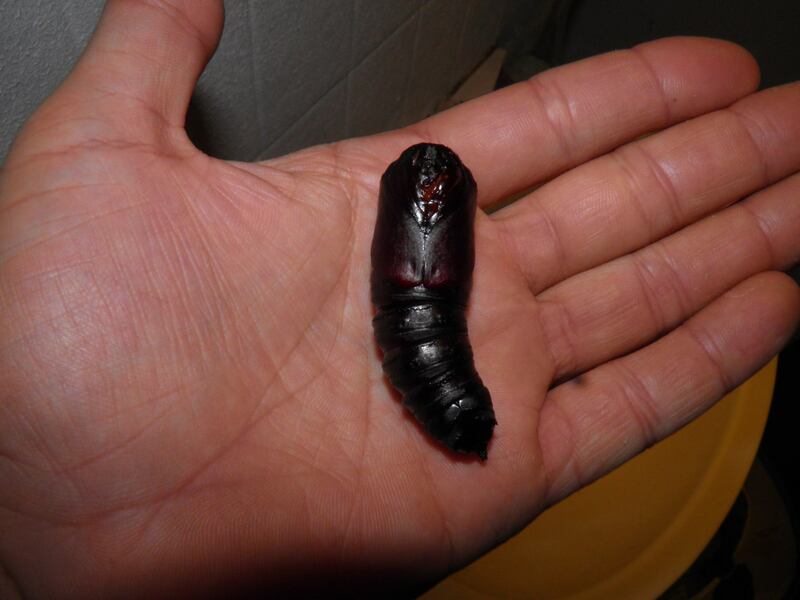 Despite this, the pupae are naturally protected from the harshest of temperatures for they are burrowed underground. In captivity, pupae can be overwintered in well isolated boxes with moss, vermiculite, towels, sand or other types of isolating substrates. It is important to store them frost free, as prolonged periods of frost may swiftly kill the pupae. They can however be stored moderately dry. The adults have been recorded in Mexico, Belize and Guatemala, where they fly once a year around the month June. This means that if they are warmed up in spring, it will still take the adults quite while to hatch; for they are a species that hatches in summer. The pupae can be stored in containers with humid vermiculite or other well isolating materials that prevent them from dessicating and that allow adult moths to unburrow themselves and dig through the substrate to the surface. Citheronia azteca vs Citheronia regalis: One of the questions I recieve most frequently about this species is; “are they bigger than the hickory horned devil, Citheronia regalis?” Which is understandable, because Citheronia regalis is one of the largest moths in North America, and are famously known for their very large caterpillars, that people often assume to be one of the biggest caterpillars in the world. But this is not an easy question to answer. First of all, if we look at the wingspan of this species, it is revealed that the size of Citheronia and regalis and Citheronia azteca rival eachother. 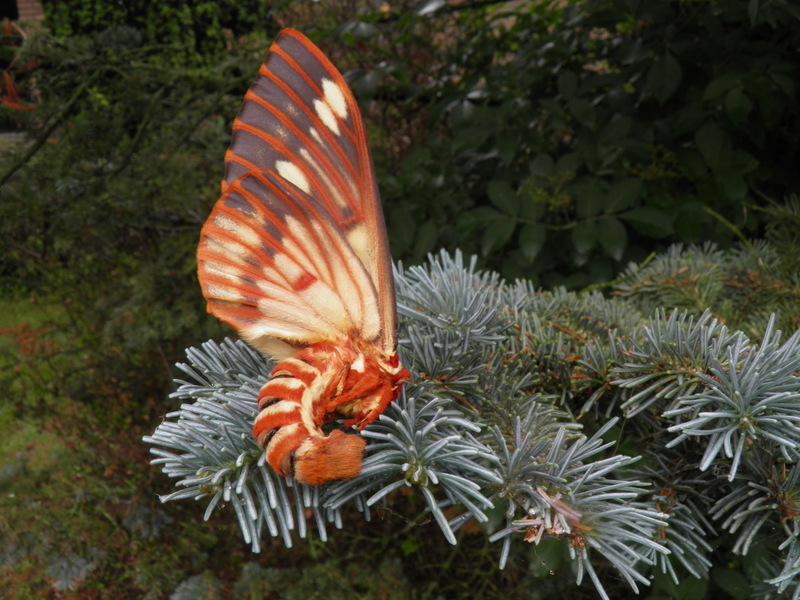 The biggest females of both species can have wingspans spanning around 140mm-160mm. Another problem is that size is a variable trait. 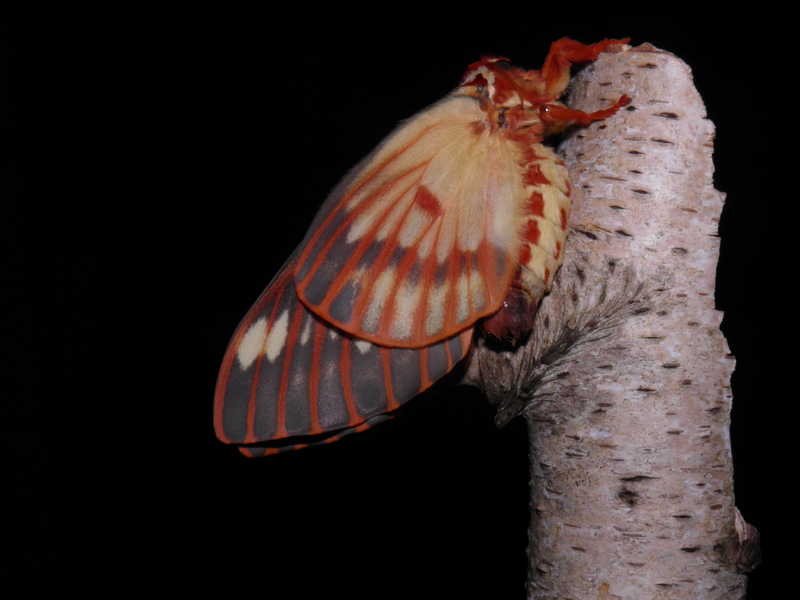 Captive animals are not really representative for the size of wild animals; in many or most cases, the wingspan of captive bred moths is smaller than wild moths. So you will find C. azteca that are bigger or smaller than other regalis specimens, and you will find C. regalis specimens that are bigger or smaller than most C. azteca specimens. One would really need to compare a large series of specimens and look at their average wingspans, and compare this average number. 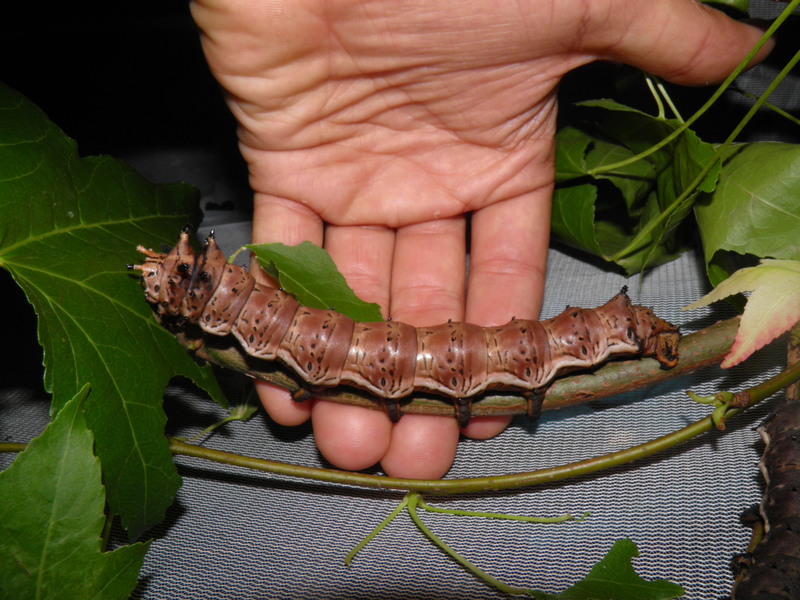 The caterpillars are also similar in size from my experience, but then again, like I said, captive breeding does not represent the wild situation. If I had to choose an answer, I would choose Citheronia azteca as the largest species of the two. I have bred both species multiple times, and from my breeding experience adults and caterpillars of azteca tend to be bigger than regalis. 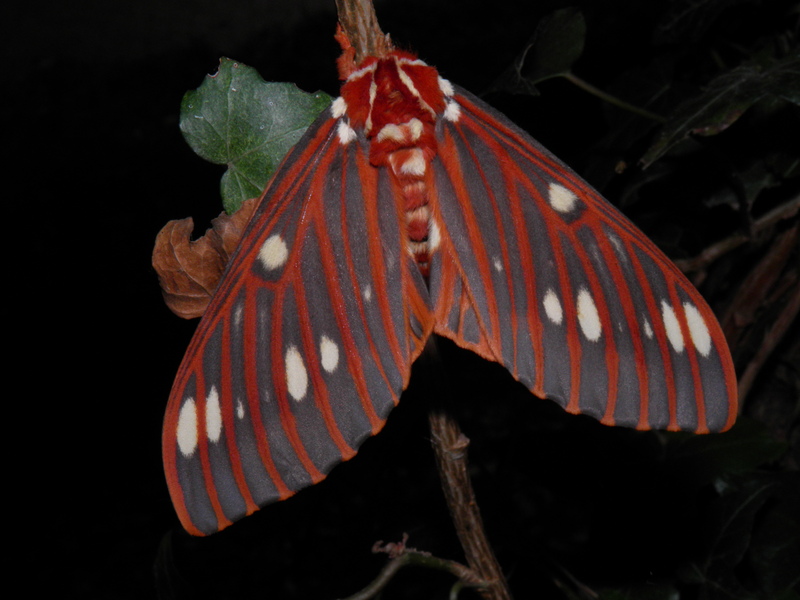 Secondly, I have spoken to numerous moth collectors and researchers with both species in their collections that have personally confirmed to me that they find the C. azteca specimens to be bigger on average. But keep in mind this is all anecdotal evidence, and that size is something very relative. Even conditions like the weather, food plants, humidity and geographical location can influence the size of the adults and larvae – one of the reasons I dislike ‘sizeism’ like this – because it reduces a really complex question to a yes or no answer. Are C. azteca bigger than regalis? Let’s say that they can be!